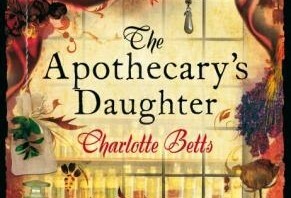 I was thrilled to find this review for The Apothecary’s Daughter by Emma Pennell of Waterstone’s in Chichester. 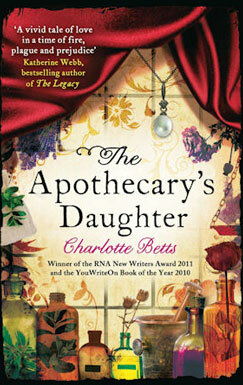 The Apothecary’s Daughter is published today. It’s almost impossible to imagine my delight when a heavy package arrived for me just now. It contained a hardback and a trade paperback, fresh from the printers, of The Apothecary’s Daughter. I’ve just returned from the Romantic Novelists’ Association annual conference in Carleon and I’m still buzzing! 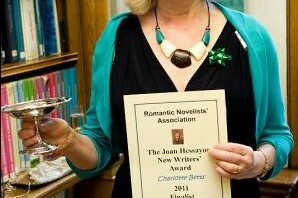 I was absolutely thrilled to receive the Joan Hessayon award for The Apothecary’s Daughter. My feet haven’t touched the ground since!